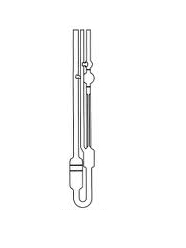 We are one of the most acclaimed manufacturers and exporters of a wide range 'U' Tube Viscometer, canon Fenskea Viscometer, Reverse Flow Viscometer. Outstanding range offered by us is famous for their heat resistance and long life. 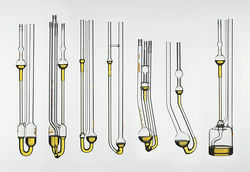 Cannon Fensky Direct Flow Viscometers for transparent liquid. Our range can also be used for analyzing various chemicals & reagents. We are a leading manufacturer and supplier of Cannon Fenskey Viscometer for Opaque Liquid.Our whole product assortment ensures high calibration and is delivered in thickness and standard sizes. They have smooth finishing and are long lasting in nature. Moreover, we deliver the entire product range as per the customer’s requirement. We are a leading supplier of Reverse Flow Viscometers. These are known for their quality and precision.Used to measure viscosity of a fluid, that is the relative motion of the fluid, this range of viscometer is again used by various industries such as automobile, chemicals and biotechnology. 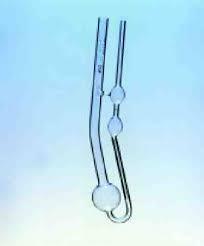 We are a prominent name in supplying of Suspended Level Shot Hand Viscometer. 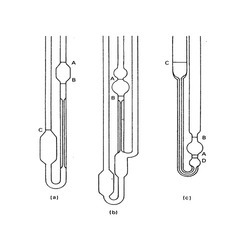 Looking for Reverse Flow Viscometer ?